This DIY set from Takaro Tomica is a fun and exciting way to make your cars, but in gummy candy form! 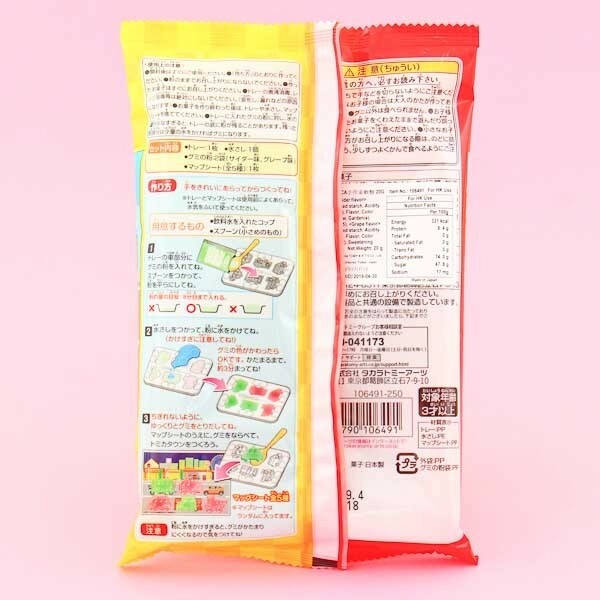 The package includes everything you need - gummy powders, molds to make the police cars, buses and vans, as well as a plastic card where to put the cars on! 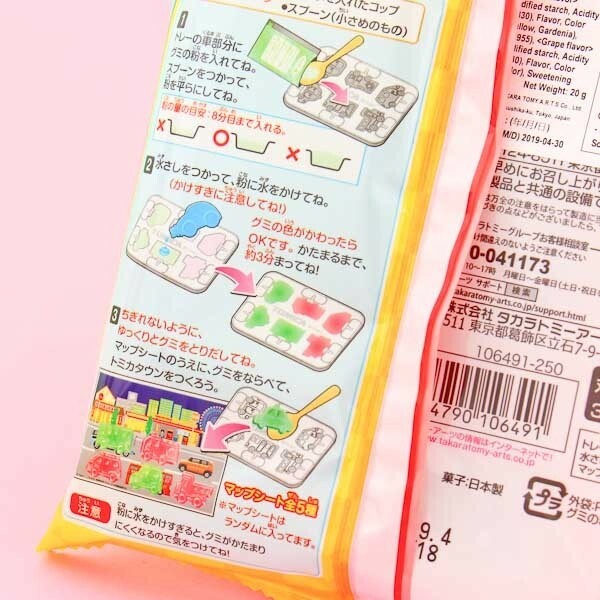 You only need to add some water to the powders and let them rest for a bit to get perfect gummy vehicles. This do-it-yourself set is great fun for children and adults alike! 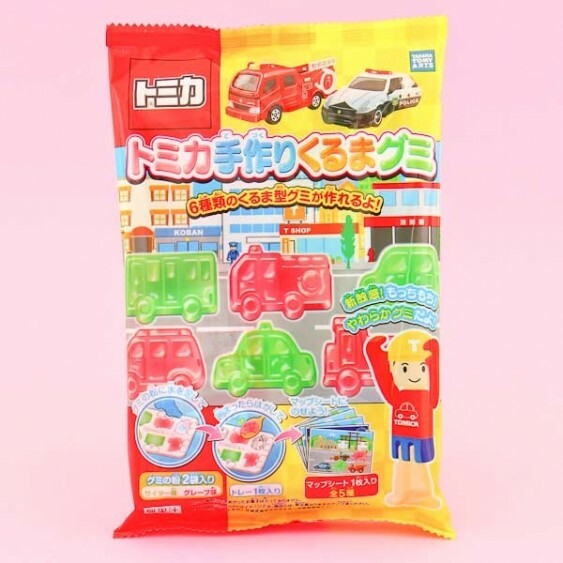 Make colorful gummy vehicles with this DIY candy kit!